Launch trailers are usually a strategy to get everyone hyped right before a game's release, usually with an explosive trailer showing how people will play and enjoy the game. As time goes on, the distance between the launch trailer and the game releasing grows wider, making that last burst past the finish line a bit harder to maintain. This Anthem launch trailer, which to be clear I do think is cool, is like two full weeks before the game's release. Anyway, none of that matters once you actually see the jetpacks fly around, because that looks awesome. Check out the launch trailer below. You can check out a lot of the cool Javelins in the game from all sorts of cinematic angles in Bioware's newest multiplayer shooter. 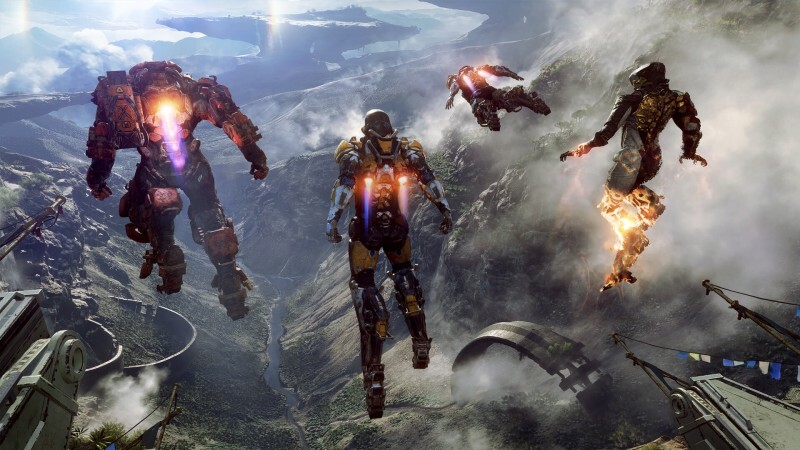 Anthem releases on February 22 on PlayStation 4, Xbox One, and PC.